It was early September. My husband and I were driving to our anatomy scan at our local birth center, excitedly discussing if we thought our second child would be a boy or a girl, nervously hoping for a report of good health from the ultrasound tech. The pregnancy had been eventful so far. As with my first singleton, I had severe hyperemesis gravidarum, only this time around it was much worse. At 5 weeks, I was put on heavy medication in an attempt to stop my constant vomiting and dehydration. By 11 weeks, I had lost 25lbs with no signs of letting up. My care team decided that a PICC (Peripherally Inserted Central Catheter) line was the best solution so that I would be able to receive daily hydration and vitamins intravenously. Despite the complications with my hyperemesis, my pregnancy was still considered low-risk which meant that I was able to deliver under the supervision of midwives. The midwifery model of care was exactly in line with my own birth philosophy – low intervention with an emphasis on not only physical care, but emotional care as well. At each appointment, I spent over an hour with my midwife, getting to know one another, asking questions, laughing, and even crying together. I trusted her implicitly with myself and my growing family. She was exactly what I had been looking for in a care provider – someone who really knew me and listened to me. I had done extensive research during my singleton pregnancy and was surprised to find research showed that a birth center or at home was actually the safest place to deliver for a normal pregnancy. After a wonderful experience at the birth center with my son’s delivery, I was excited to be able to deliver with her again. Fast-forward to 21 weeks. We arrived at the birth center around 5 pm for the ultrasound. l laid on the bed in the cozy, dimly lit room, ready to see my baby for the first time. The tech began the ultrasound and a couple minutes in she gave a strange look. Then suddenly, it all made sense. She was trying to tell me there were two. Two babies! What on Earth?! I gasped and looked at my husband, who was staring into space with his mouth wide open. I demanded to see the screen for myself and the tech proceeded to show me two perfect little girls. I began to cry. My husband and I had decided it would be my last pregnancy due to my health issues, so two babies for one pregnancy felt like the most wonderful blessing. My next question immediately went to my midwife, “Can I still deliver here?” I knew that having twins automatically put me at high-risk in California and therefore I was ineligible to deliver with her. She reassured me that we would work it out. 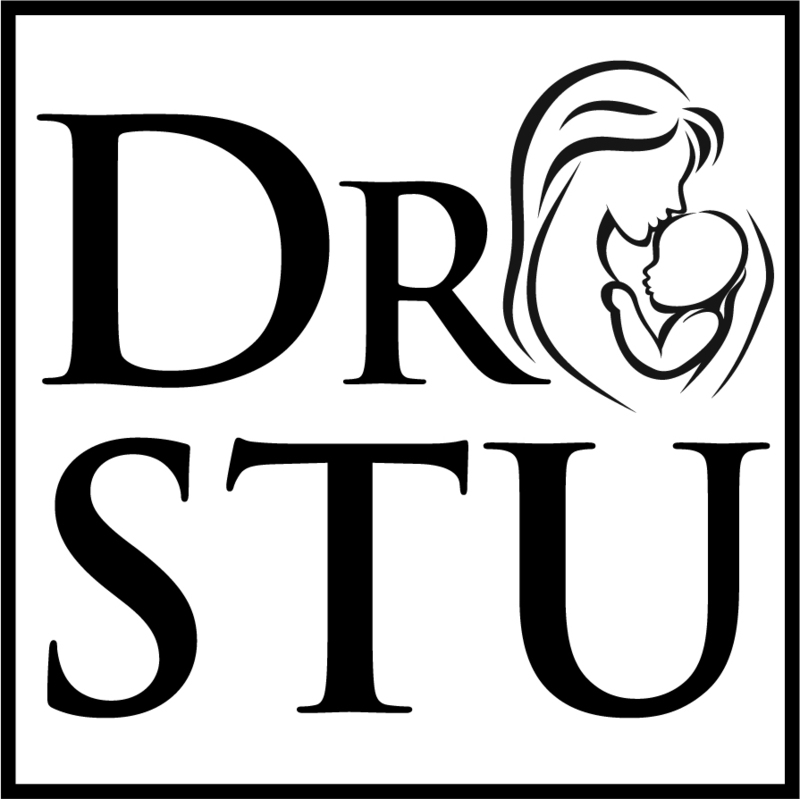 I could still deliver out of hospital if I hired an OBGYN to supervise who specialized in out-of-hospital twin birth – enter Dr. Stu, the only obstetrician in my area who delivered twin and breech babies out of hospital. We met with him and hired him the next week. He and my midwife agreed to concurrent care and the pregnancy proceeded without complications. While we were overjoyed to have found a way to deliver out of hospital with our trusted care team, others had misgivings. I had many comments ranging from discouraging to downright hurtful. Many people told me that it was foolish to even try because I would go into labor early. Their reasoning, “Aren’t all twins early?” Others accused me of harming my children because I wasn’t putting them in what they saw as the safest situation – delivery in a hospital. People told me horror stories of twins and/or their mother dying (even though the stories were of twins who were delivered at the hospital). These comments made the last 4 months difficult. I was completely confident in my choice – that it was best for me and best for my babies. My first vaginal delivery was fast and uncomplicated, my twins were healthy and growing well, my doctor fully capable of delivering twins and babies presenting breech. I was an ideal candidate for an out of hospital twin birth. While most people were well-meaning, they were unresearched. They came from a place of fear, not facts. They then tried to put that fear on me as well. I was aware of the various risks that could develop, but I was also fully confident in my care team’s ability to assess any issues that arose as we went along, and I had faith in God’s plan for whatever came my way. Despite the negativity, I stayed strong. I knew my body had the ability to carry my twins to full-term and deliver them vaginally, unmedicated, just like my son. At 38.5 weeks, my water broke. It was 3:30 am. I didn’t have any contractions yet but I knew from my first birth that it was probably going to be quick. I called my midwife and told her I was coming in to labor at the birth center and got ready to go (as fast as humanly possible when you are gigantic with twins.) Half an hour later, the contractions started coming 5 minutes apart. We left for the birth center around 4:30 am. As many moms will tell you, the drive is one of the most difficult parts. I was laboring hard at that point, with contractions right on top of each other, unable to speak or do anything but try and breathe through the pain. My husband gently encouraged me as he sped down the freeway. When we arrived at the birth center, I could barely walk. I began making low guttural sounds as I tried to amble up the steps. My midwife came over and gently placed her hand on my back – I screamed at her to stop – I just wanted to be left alone. We all gathered in the birthing room. Two midwives, two midwives assistants, the doctor, my husband, and me. It was quite the party in there. Everyone was excited for the rare chance to assist with an out of hospital twin birth. The environment in the room was one of quiet anticipation. Dimmed lights, hushed tones, the rush of water filling the tub. I leaned over the tub as intense contractions pulsed through my lower back. At around 5 am, I asked my doctor if I could begin pushing. He checked me, telling me that I was fully dilated and able to push. I got into the tub and after a few pushes, my daughter was born at 5:08 am. I was shaking so hard that I could barely hold her. Having been in labor for just over an hour, my body was in complete shock, struggling to catch up with all that had so quickly transpired. I tried to enjoy the beautiful baby girl in my arms, but my only thought was that I had to do this one more time. Throughout this period of “downtime,” my doctor had been listening to baby B’s heart rate. I could hear a sense of urgency when he announced that baby B’s heart rate sounded low and that we needed to get her out. He had warned me in our appointments that this sometimes happened with twins because of the pressure drop after baby A comes out, so I was completely confident in his expertise in that moment. After my husband cut the cord for baby A, all concentration went to getting her sister out. My contractions hadn’t come back as strongly, so my doctor began pressing on my stomach while I pushed so we could get her out faster. The pain was overwhelming, the intensity of the moment pulling me over the finish line when all I wanted was to give up. As her head came out, he asked if I wanted to catch her, and with the final push, I reached down to grab my baby and bring her up to my chest. A mere 16 minutes later, less than two hours since my contractions began, my second daughter had been born. No tearing, no complications, babies completely healthy. I was a happy, thankful twin mama. Birth can be scary, twin birth doubly so. More potential risks, more possibilities of things that could go wrong, but as my midwife constantly reminded me – twins are a variation of normal. God meant for my body to conceive these babies, to carry them – which was why I wanted to try and deliver them vaginally, unmedicated. community birth in the United States. Birth. 2017;22:209-21. American College of Gynecologists and Obstetrics revised its opinion on home birth and birth center births especially to recommend for low risk. STUDY: Out of hospital twin births: double trouble or reasonable option? Hannah Mockary lives in Southern California with her husband, 2.5 year old son, and 1 year old twin girls. Her experience delivering both her singleton and twins out-of-hospital was so all around amazing that she has become passionate about sharing this option with other moms! Besides chasing after three toddlers, Hannah stays active in the community by serving at her local church and part-time work with blogging/online marketing. A large crowd attended a rally on Lawyers Mall in support of legalizing all midwives. Maryland Families for Safe Birth, and the Association of Independent Midwives of Maryland (AIMM) sponsored the rally. Thank you for giving me the opportunity to speak today via written testimony in support of House Bill 9. My name is Stuart James Fischbein, MD. I currently am and have been a practicing obstetrician in the Los Angeles area since 1986. I attended the University of Minnesota Medical School from 1978-1982. I was an obstetrical resident at Cedars-Sinai Medical Center from 1982-1986. I was Board Certified in obstetrics and gynecology in 1989. I am a Fellow of the American College of Obstetrics and Gynecology (ACOG). I have collaborated with direct-entry midwives my entire career. 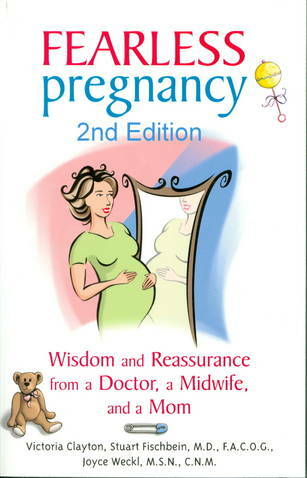 I co-authored the book, Fearless Pregnancy: Wisdom and Reassurance from a Doctor, a Midwife and a Mom in 2004. I am not an academician. I actively assist women with pregnancy and childbirth, often in collaboration with a team consisting of a midwife and midwifery students. I am credential as a proctor/supervisor of students with The National Midwifery Institute (NMI) and The Nizhoni Institute of Midwifery. From 1986 until 2010 I had a hospital based practice and collaborated with Certified Nurse Midwives while at the same time serving as a consultant and “back-up” physician to several local direct-entry midwives. In 2010 I chose to leave hospital-based practice and now assist families with home birthing including VBAC. My nearly 30 years of work experience has given me a very unique perspective on both the obstetric and midwifery models of care of pregnant women with which to testify to today. While home birthing with a midwife may not be for everybody, informed choice and respect for the autonomy of patient decision making is. Beneficence based medical ethics dictates that practitioners are obligated to support reasonable medical choices. There is enough data in the world literature to support the reasonableness of the choice of home birthing. The women of Maryland deserve this option. Especially in light of the high rates of inductions, interventions and surgical births for otherwise healthy pregnant women who labor in the hospital. I have attended over 125 home deliveries, always in collaboration with a CPM. I offer women with VBAC pregnancies who meet respected selection criteria this option, often because no similar option exists in many local hospitals. We have a success rate of 93% using this collaborative model with home VBAC. I have found that VBAC is more likely to succeed in a home birth environment than in the hospital. The simple explanation for this is the understanding that normal mammalian birth progresses better when undisturbed and without anxiety and fear. VBAC is not a procedure requiring special skills therefore success should be the desired endpoint. The medical model looks at women attempting a trial of labor after cesarean section as a disaster in waiting. Midwives understand this is not conducive to success. The published Maryland statistics on successful hospital VBAC rates is pretty dismal. The NIH VBAC consensus statement of 2010 supports VBAC with level A evidence as does the American College of Obstetrics and Gynecology. VBAC bans and restrictions attributed to an ACOG recommendation based on the word “immediate” have no basis in science. This past December I attended the interested parties meeting for California AB1308 in Sacramento. VBAC was a major topic of discussion. The regional representative from ACOG District 9 admitted that serious complications from VBAC are rare (about 1/2000) and unpredictable. I commented that if that is so then having physician consultation during the prenatal period was useless. The point was taken. I was assured by the Medical Board Representative that California direct-entry midwives will continue to assist with out-of-hospital VBAC. We need to do everything we can to lower the cesarean section rate and the subsequent short and long term morbidity to mother and baby. Licensing and supporting direct-entry midwifery is the logical next step. It is important to note that midwifery is not a subset of obstetrics. Midwives are well trained and experienced in the care of normal pregnancy and delivery, including VBAC. They excel at preventative medicine. They have an excellent knowledge base and therefore can quickly recognize abnormal and consult or refer as needed. Obstetricians are trained to deal with problems that arise so that is how we see our patients. Residency training of future obstetricians is not designed to care for normal. Over the years I have practiced I have evolved from the true believer in the medical model of obstetrics as illness to an understanding that normal pregnancy is wellness and the female body is designed for it. My personal evolution and successful professional outcomes would not be possible were it not for my good fortune to have collaborated with midwives. The women of Maryland deserve honest dialogue and information from which to make a choice. For ultimately in a free society, the decision of where and with who to give birth belongs to them.